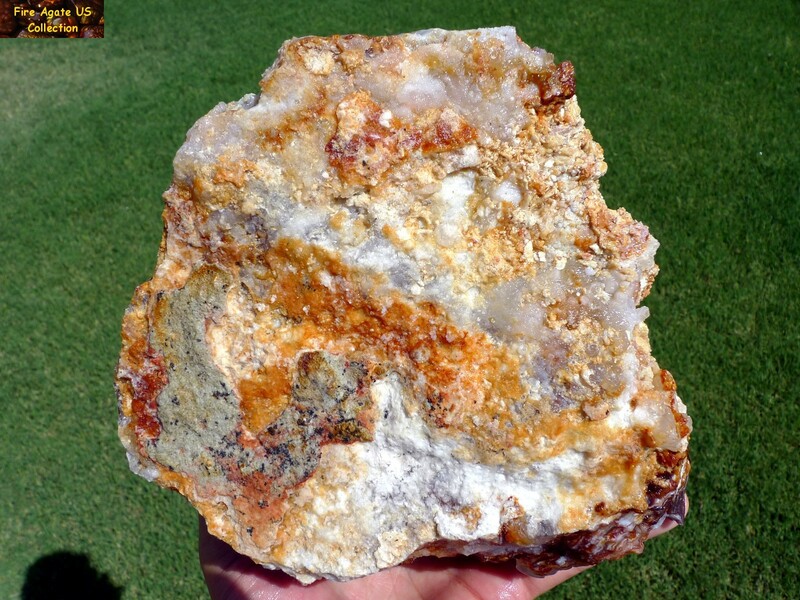 measures 7-1/2 x 6-1/2 x 3-1/2 inches (19 x 16.5 x 8.9 cm) and weighs in at a hefty 5.6 pounds (89.6 oz, 2.54 kg). 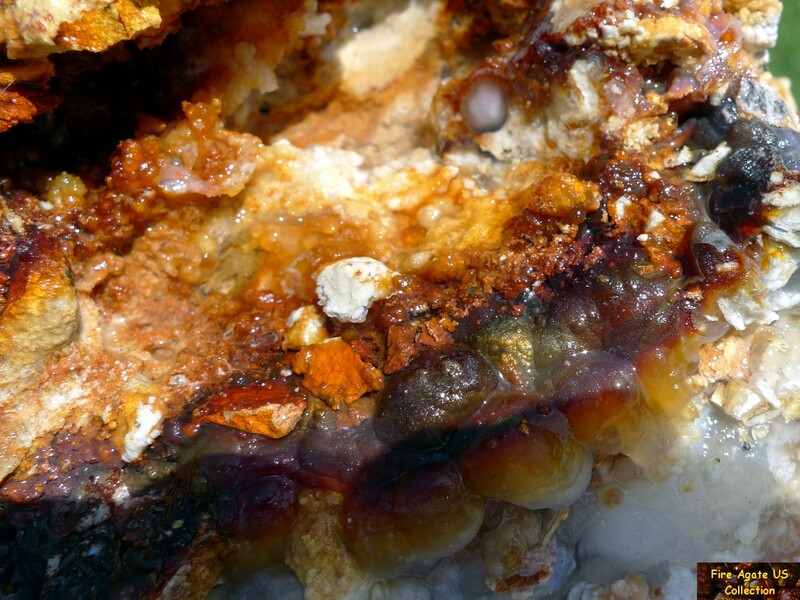 There are several areas of visible fire on the exterior and then multiple limonite areas indicating potential internal fire layers. 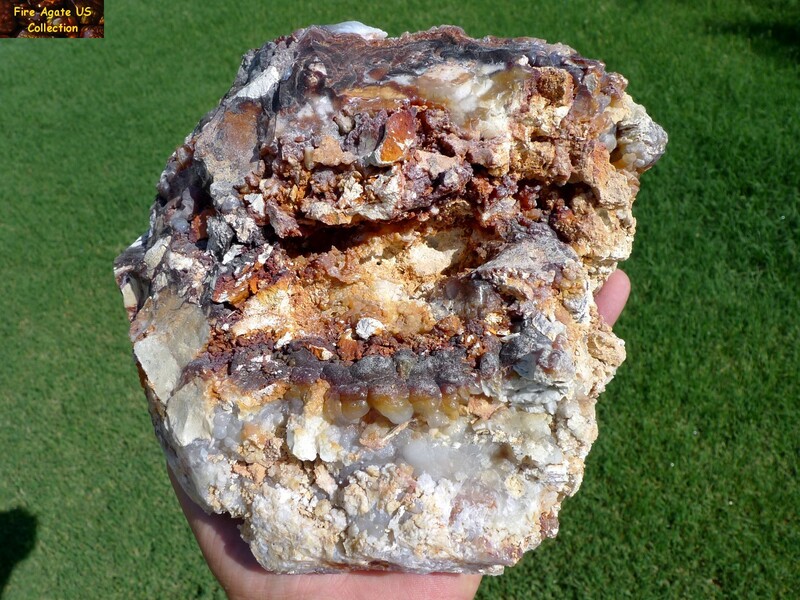 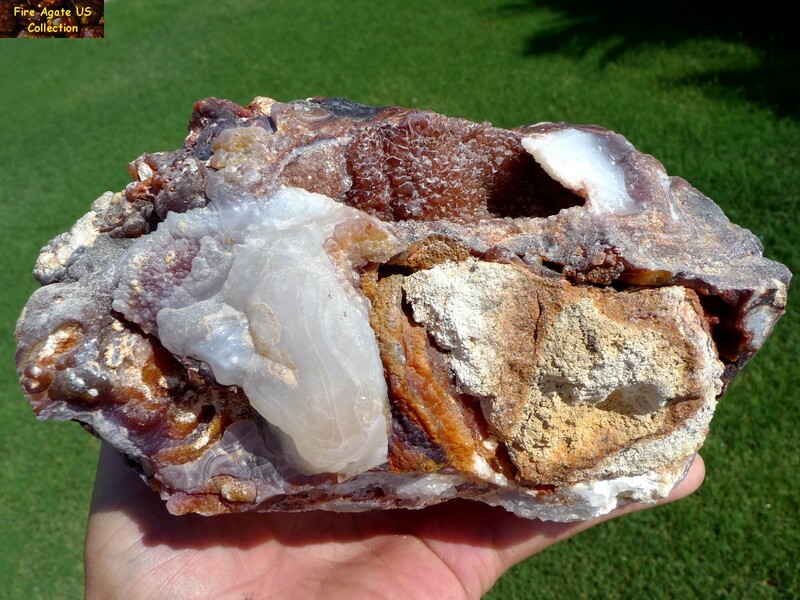 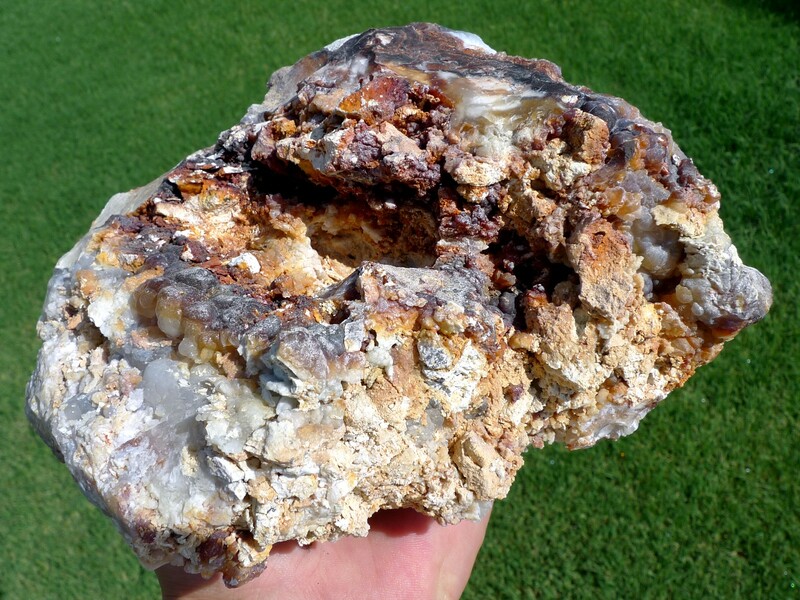 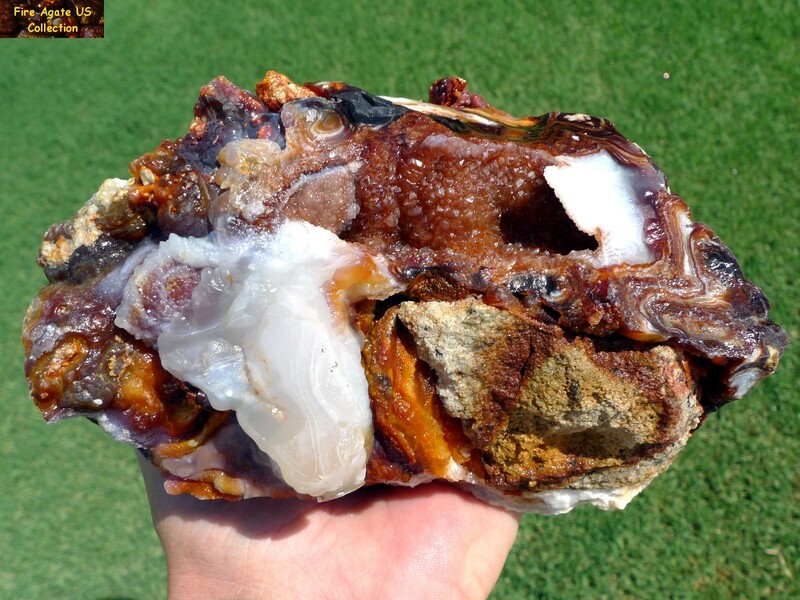 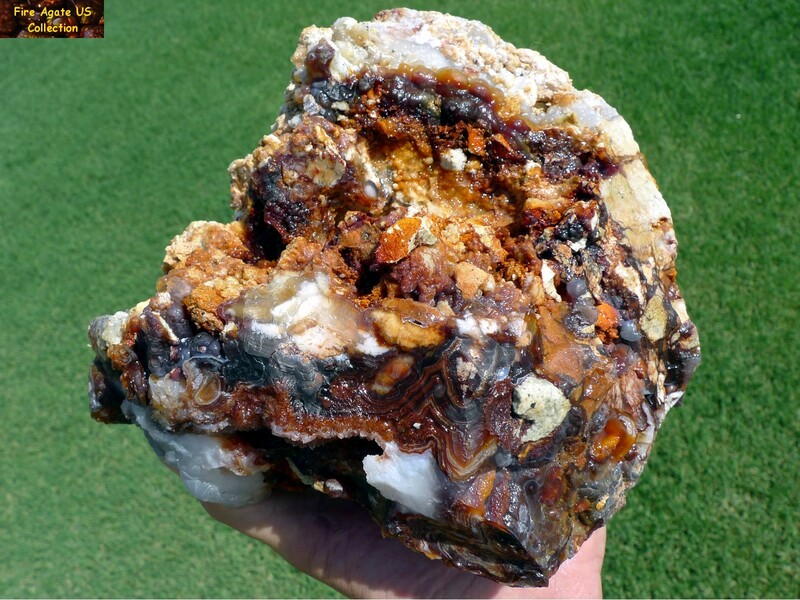 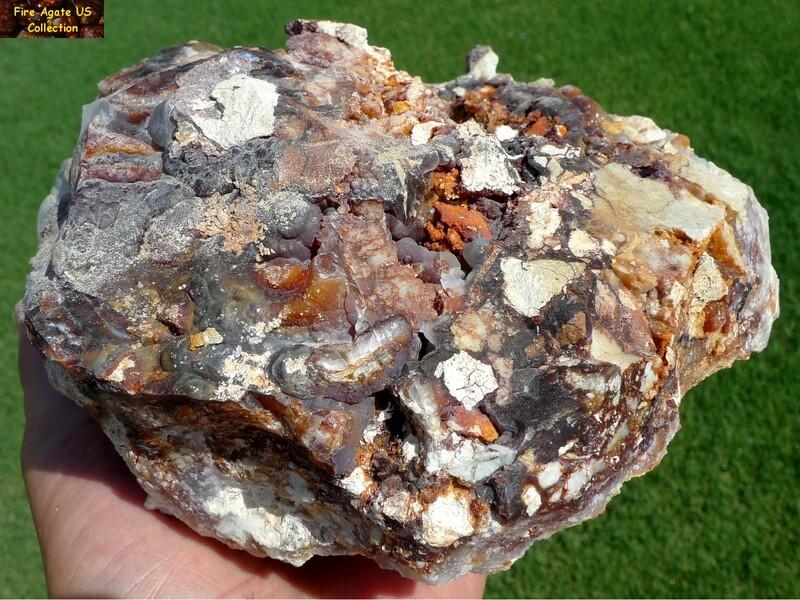 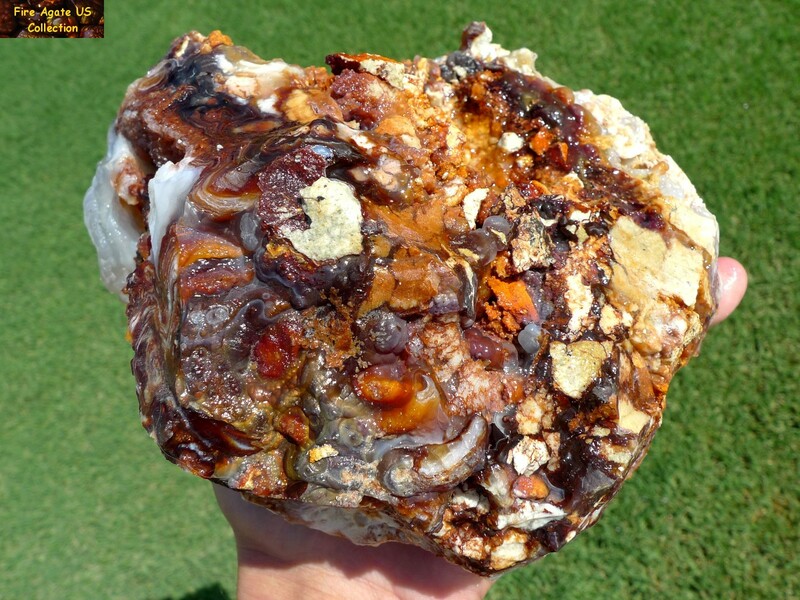 This massive fire agate rough gemstone specimen, with limonite fire banding, chalcedony formations with geometric designs, a natural quartz and rhyolite flat base, and an area of rose colored druzy quartz crystals, makes for a wonderful addition to any mineral or gemstone collection. 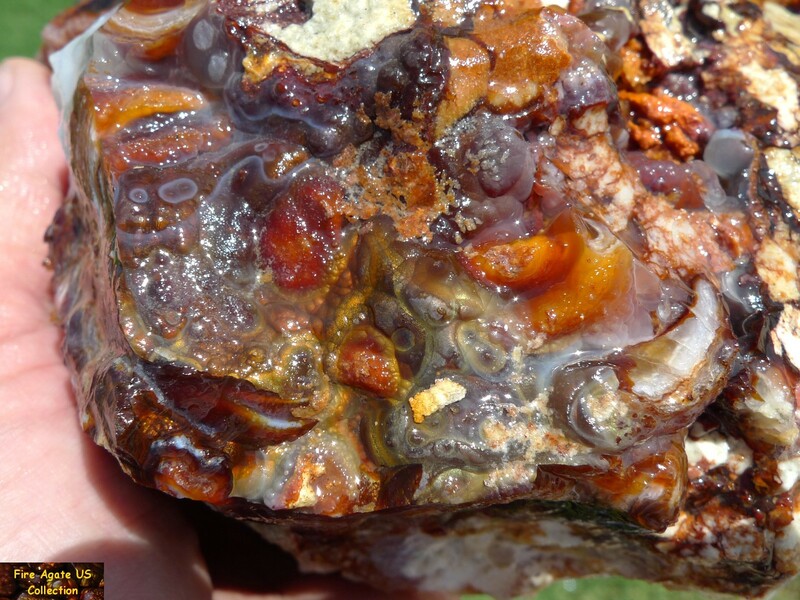 Pieces of fire agate of this size are very rare due to the difficulty of extracting them from the bedrock, most get broken into smaller pieces during the mining extraction process. 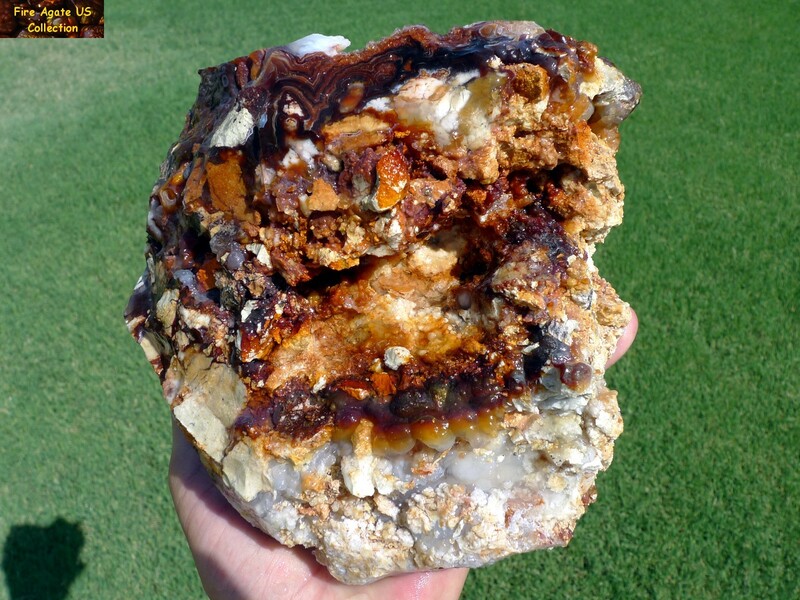 This spectacular specimen originates from Slaughter Mountain, Arizona, known for producing fire agates gemstones with intense color variations from bright reds and oranges to intense greens, purples and blues. 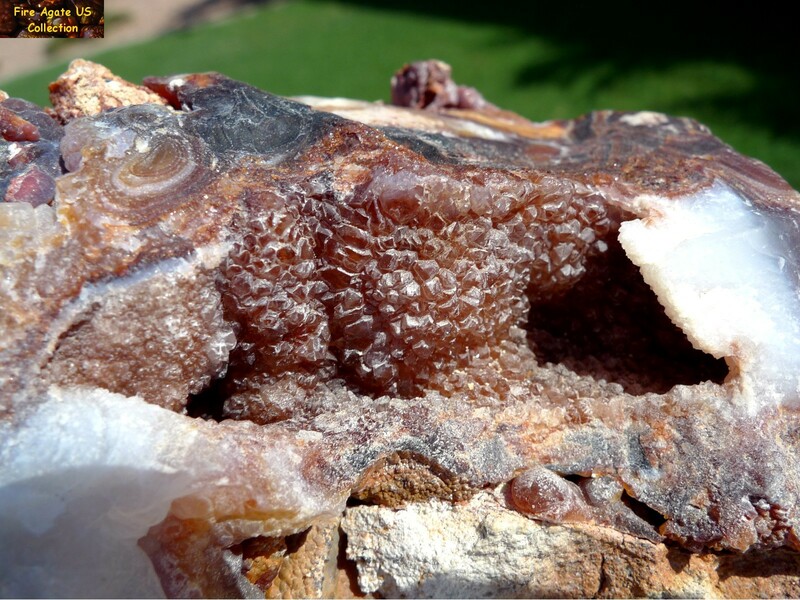 Photographs were taken outdoors in sunlight and indoors under lights while the specimen was both wet and dry.